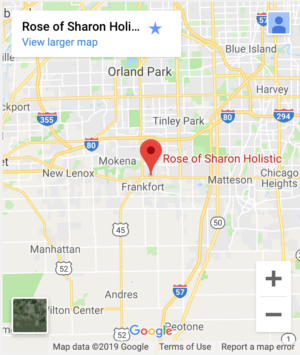 At Rose of Sharon Holistic We Focus On Total Body Analysis, Homeopathy, Herbs, Metabolic Profiling, Bach Flower Therapy, Nutrition and Supplementation To Care For Your Body. Contact us in order to begin your journey to wellness with an initial wellness evaluation! The following is an excerpt from client communication. Just wanted to share a few things with you… I’ve been taking my supplements regularly since I received them last Thursday and have been sticking to the Keto meal plan as well. Since last week exactly I’ve lost a total of 10lbs. I’m eating and am making sure I’m not starving myself. Although, my appetite and cravings are less…Starting this week I’m gonna start walking the trail and next week I plan on starting to weightlift (lightly) again. Sleeping a little longer between times I wake during sleep cycle. Not as sluggish in the morning. Gradual energy increase throughout the day. At times a little restricted in my breathing. Another thing I realized a couple times is that I have no clue why but in the most recent years I would get anxiety while driving long distances. I took a few longer than normal drives(work related) and I feel less anxiety while in traffic. Not sure if that has anything to do at all with what I’m doing? My cough is still there for the most part but I kinda noticed that the sensation is a little less than it was. Hard to fully tell yet. – M. F. Blue Island, IL. So far, so good. Its amazing how the changes to my diet are affecting me. I so appreciate your help as I travel this healthy journey. God bless. I wanted to give you an update and ask a few questions. I am now on Week 3 of my journey and have noticed a lot of changes. Others are also noticing the big changes and I am handing out your phone number so that you will be able to help them also…Ok, here is a health praise report. All anxiety attacks are gone, my body temperature is much improved, rarely do I hunker under quilts and blankets during the day time. My pain level is greatly improved. I still have occasional muscle spasms/cramps these have been reduced so much due to my taking the Magnesium and Potassium supplements twice a day. I am feeling stronger and much happier. I have some trouble sleeping at night and have added Chamomile tea to my nightly routine. I have been taking the IC-1 & 2… I pray that you and your family have a blessed and Merry Christmas. Such a difference for this holiday compared to a month ago. …thanks so much for helping and blessing me with your knowledge and calling on your life. 2015 is going to be an awesome year for both of us. I did notice a huge increase in urine output with the debris you told me to look for as well as more BM’s than I could count in a day. The mess I was passing appeared to have been inside me for some time. Never have I had BM’s like those while on the cleanse the last couple of days. I took my BP after taking a long nap prior to church and my BP was 130/74 pulse was 94. So I did notice a lowering of the BP and that is also with reducing the Potassium and no Lacix. …as promised I wanted to give you an update on my Dr. visit yesterday so you can be current with whats going on with me. She was excited about my weight loss and healthier lifestyle, not so happy that I am no longer taking any RA medications. I brought her up to date on whats happened since I left her office prior to my hospital stay. I told her I had seen you and we had worked out a 4 mos. recovery process for my body. I got the impression she was lukewarm in her thoughts and feelings on our choices. That did not sway me at all and I kept telling her of all the improvements I had seen so far. They took my BP three times while I was in the office. My lower number was still high and the top number had come down a bit. With my lower # and pulse being so high for so long, she decided I needed to get that under control asap. She looked to see when I had my last stress test and it was 7/2014 while I was in the hospital. The test was good and showed I scored in the top 85% for my age group. She called in the RX Lisinopril 5 mg. to be taken once a day. My weight loss since 6/2014 is 50 pounds and counting. Thanks for all your help and support, you have been such a blessing. We have handed out several cards so thank you for them. I can tell you that my body temperature has come up and stayed up. When I saw you and even my GP doctor last my temp was always in the 96 range. I am now maintaining 98.6 Praise God. I have been drinking my smoothies full of fruits and veggies to stay well fed. I also have been drinking all natural juices as well as my lemon water. ty it is great to know this stuff. I also am journaling it all to help others that step out onto this journey path. I will add the info you have given to me to my journal to share with others. I really appreciate all you have shown me. Its such a blessing. I know I was so near death that the journey back from it would be tough. Sometimes I forget how tough it is. I will tell you that my kidneys are working great I’m seeing debris each time. The BM’s are definitely some very yucky stuff that looks to be old mess from inside me. I am going to do my best to spread the word. I am sold out on this! Next Monday it will be my half-way mark of my journey. I am so blessed and happy with the results I have seen so far. …wanted to give you an update. Things are going well… I also passed your business cards out at the courthouse today. Lots of sick and overweight people who need your services. ! They were so excited in the changes in me they almost begged for your cards, lol. I hate that there are so many hurting and sick people out there. I have decided to attend the same school as you. I plan on taking all the courses they have in regards to natural healing. I can never thank you enough for all your help. Thanks Preston I feel more at ease and I will continue plugging along with this and I will keep you posted. Thanks so much. I am Praising God for the process of healing but I will be so glad to be at the end of this part of the journey looking back. My journaling has been a great help. Take care and be blessed my friend. Have a beautiful day. Hey Doc, just a quick update. Since started taking the bottle of Lymphatic 3, I have been feeling so great. I have been spring cleaning and even (my husband) is surprised at my energy levels. I still am dealing with moderate pain levels on many days, I am assuming this is due to my increased activities. I have basically been homebound and recliner bound for three years so these muscles have been at rest mode too long. I have a lot of loose skin so starting Monday I am beginning a weight training schedule. I am also looking into a low impact beginner Yoga class hopefully online or t.v. I am getting great responses to my journey and people are amazed at my transformation and we are only half way there. I passed out more business cards tonight… and told them how awesome and knowledgeable you are. I told him they should def. hook up with you that you can def. help her out. I told everyone about the upcoming health seminar. …Ok I will not keep you just had to share the great news! Have an awesome evening and thanks so much for all your help. God Bless you and yours. I am a living testimony that you can come back from the brink of death with this type of healthy lifestyle. I have so many broken and sick people watching my journey I pray for them and hope that they take the first step. It is a deep burden I have. …I have lost over 50 pounds and have a sagging skin issue so I started my low impact weight training this week. I am sore but I am excited to wake of these lazy under worked muscles, lol. I have had RA and Fibromyalgia since 2005 if my memory stands correct on the matter. When I had the stroke in 2008 it caused more pain on the left side. Hip, knee, foot etc. more than my right side. I have severe nerve damage in my left foot due to surgeries and work related injuries. I have a Neurostimulator in my lower left side of my back. It was replaced from a defective one on the right side of my back almost 2 yrs ago. I have been having severe back pains as I spoke of earlier. Prior to my healing journey the pain was constant and unrelenting. Since the healing journey the pain has lessened. When I started my healing journey I was on Morphine 60mg. several times a day or the really rough days and 30mg. on the moderate pain days. Over the journey I have needed those high pain medications much less.